I'm so excited about the official release of Everglades that I made something you can actually purchase from me on the internet! 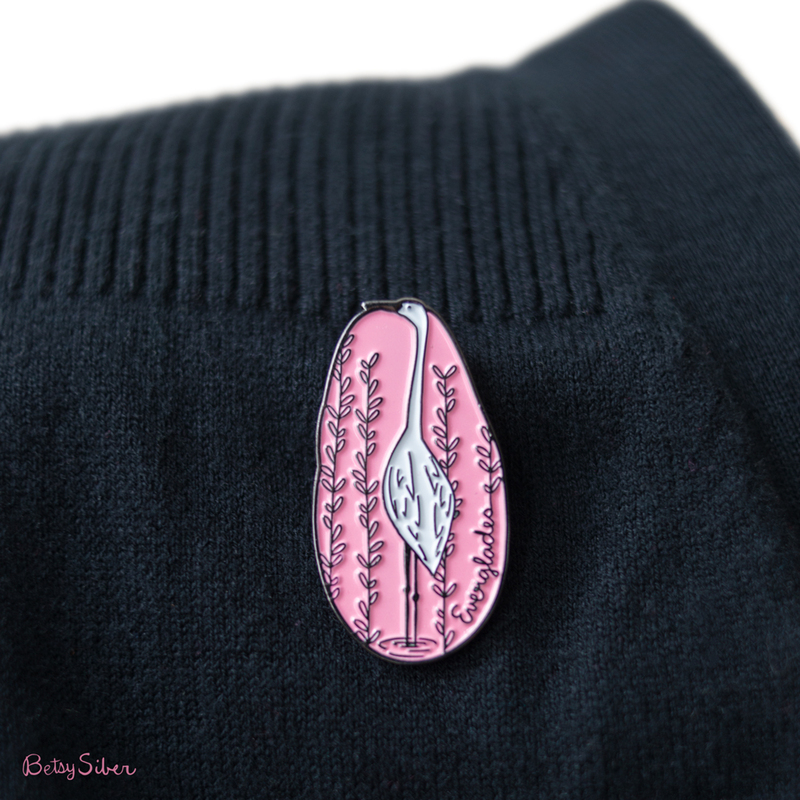 My everglades lapel pin features a snowy egret and is the perfect pink punch of color for any bag, lapel, coat or hat. Plus, for every pin purchased, I will donate $2 to the National Park Service's Wildlife and Habitat Protection Program at Everglades National Park. Have a look!